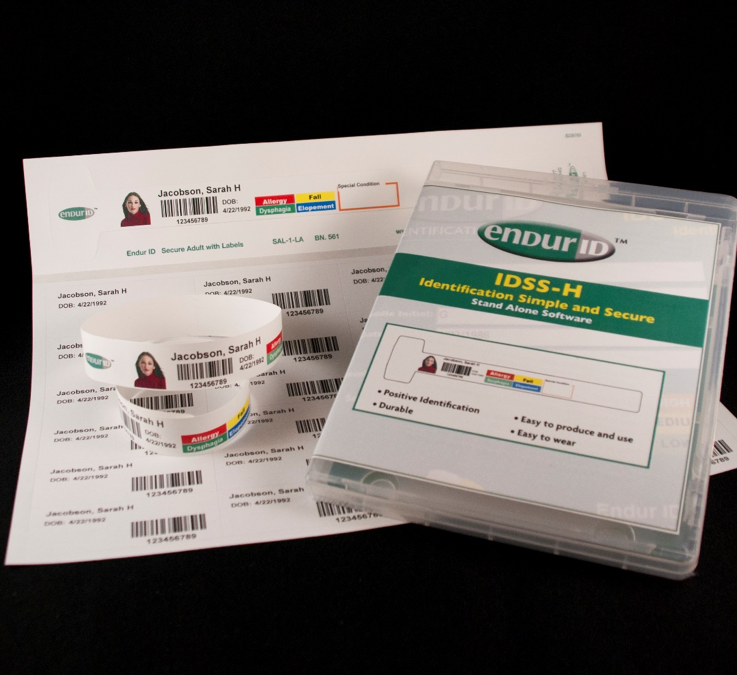 Identification products have been on the wish lists of many facility administrators for a long time, and are often overlooked or out prioritized by more immediate and pressing needs. Putting out fires can be costly and resource consuming for any organization, big or small. This is why we developed IDSS, our Simple and Secure ID system. IDSS is a pre-formatted version of our wristband creating software that comes with pre-loaded wristband templates, a starter pack of 50 wristbands and how-to instructions, all on a USB flash drive for under $1,000. There are 3 versions of IDSS, depending on your facility’s needs. The Healthcare version was designed for Long Term Care facilities, Ambulatory Surgery Centers and smaller Healthcare facilities and there are versions for Behavioral Health and Corrections facilities as well. The IDSS software runs on Windows 7 or above and does not require IT support. Add a webcam to capture photos and a color laser printer to print color photos, color coded medical and risk alerts on your wristbands. The identification solution that you have been looking for is now within your grasp.